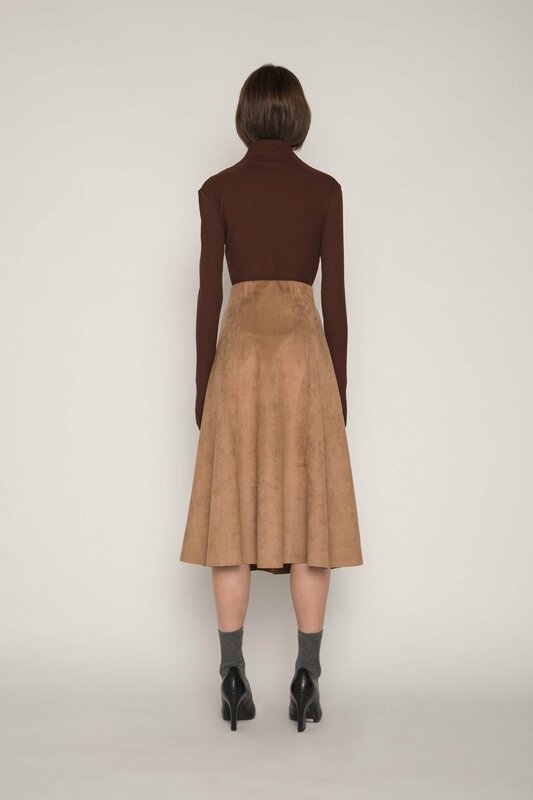 Crafted from a chic vegan suede, this skirt features an ever so flattering A-line silhouette with a pull-on waist for optimal fit and comfort. 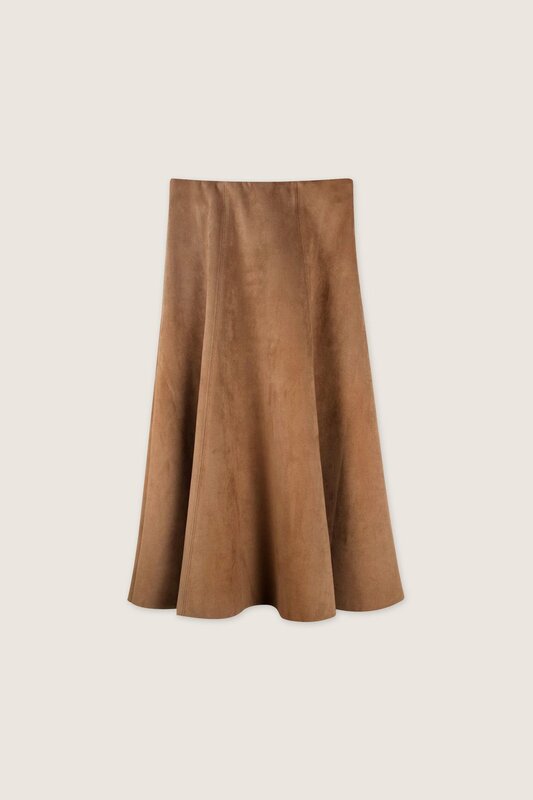 Minimal and classic with a vintage touch, this skirt is perfect for the fall. 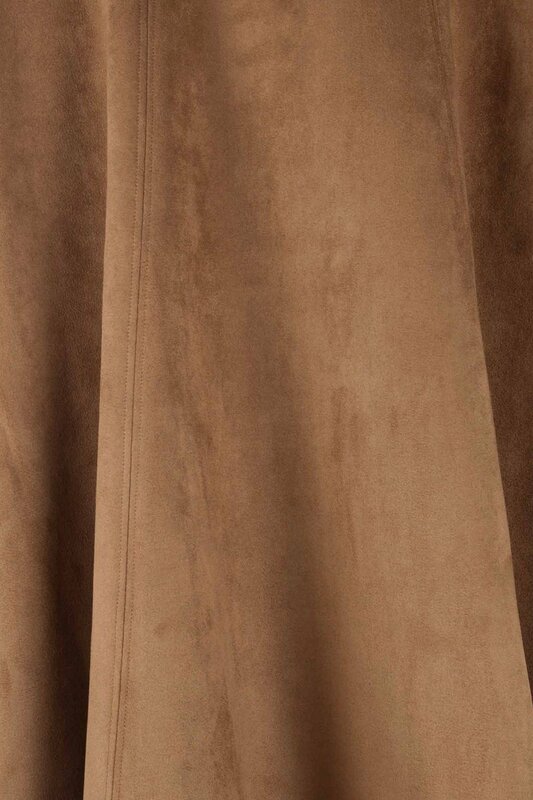 Pair with a turtleneck and mules for a feminine look.